I should start a new blog and call it 500 Ways to Make Banana Bread. Or heck, maybe that’ll be the title of my first cookbook. Because here I give you yet another banana bread/muffin recipe. I still have protein powder languishing in my pantry, so I used that, then continued with the protein theme by adding bean flour, eggs as a leavener, and peanut butter instead of butter. You can make the recipe lower-carb and sugar-free by using xylitol instead of sugar and using sugar-free protein powder. 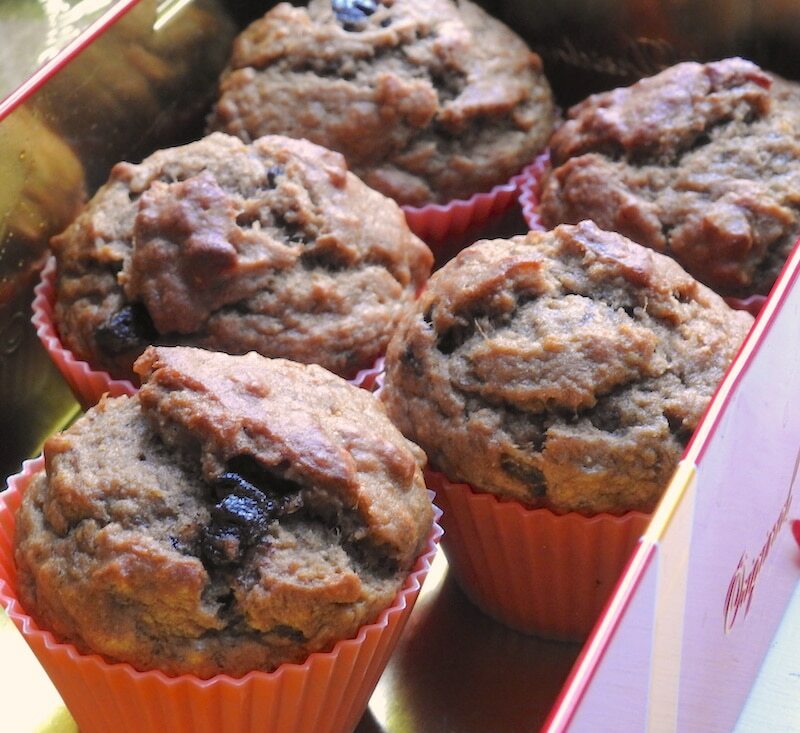 The protein makes these banana muffins a great breakfast food, but I like them with coffee or Teecino in the afternoon. Beat together the oil, peanut butter, and xylitol or sugar in a small bowl until creamy, about 2 minutes. Transfer peanut-butter mixture and dry ingredients to a large bowl and mix them together with an electric beater until they are the texture of brown sugar. Mash bananas. Beat them into the batter until just blended. 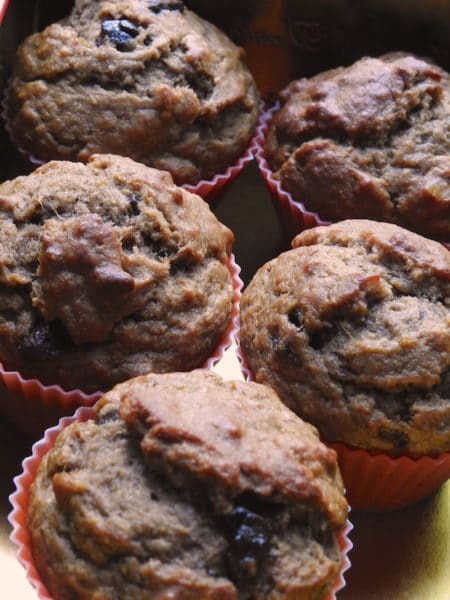 Use a spoon to drop the batter into a greased or lined muffin pan, filling each cup at least ¾ full (about 1/4–1/3 cup of batter per muffin cup). Bake 20 minutes in a 400°F oven. Muffins are ready when inserted toothpick comes out clean.